Austria joined Mission Innovation (MI) as the 24th member at MI-3 in Malmö. By joining MI, the Austrian government underpins its commitment to support the vision of MI and to accelerate the clean energy transition. Austria has a long and successful history in clean energy innovation and has already achieved a leading international position in several fields. It is a technology leader in energy-efficient construction and is working at the cutting edge of European and international initiatives e.g. European Research Area Networks (ERA-NETs) and International Energy Agency Technology Collaboration Programmes (IEA TCPs) to develop smart energy systems. These successes are mainly the result of internationally visible flagship projects and demonstration regions implemented in close collaboration between industry, research and public administration. “Mission Innovation is a perfect complement to the research and innovation efforts on a national level. Investing in energy research and positioning Austria as a frontrunner are essential ‘enablers’ for the Austrian industrial actors on the world market, and a major contribution to securing our business competitiveness. 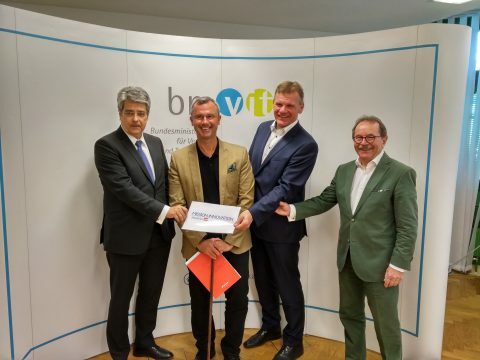 This is also highlighted in the new Climate and Energy Strategy of the Austrian Government,” says Norbert Hofer, Minister for Transport Innovation and Technology. In its Climate and Energy Strategy Austria sets the goal of 100% renewables in the power sector by 2030. This ambitious goal requires additional production capacities of renewable power of 20-25 TWh, mainly achieved by wind, photovoltaic and hydro power. Austria aims to have 45-50% of total energy consumption provided by renewables and a 36% reduction of greenhouse gas emissions (compared to 2005) by 2030. Research, development and innovation are key to accelerate decarbonisation efforts. Besides the continuation of mission oriented RDI (research development and innovation) programmes on positive energy areas, integrated regional energy systems, break-through technologies for industry and efficient mobility systems, the programme “Mission Innovation Austria” is foreseen. It builds on the programme “Flagship region energy” and focuses on large field tests and real-life laboratories for energy model regions. The private sector has been involved from the beginning. In preparation for joining MI, Austria has established two bodies responsible for the support and implementation of Austrian MI activities. An Expert Advisory Board made up of industry representatives and international energy experts provides strategic advice to the Technology minister. 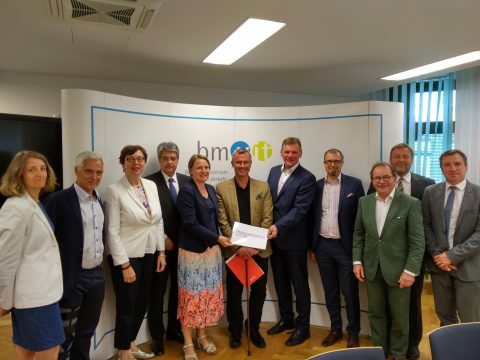 A Sherpa Group supports the Expert Advisory Board by collecting information from the Austrian innovation system and will also disseminate the MI progress and results in Austria. Austria will contribute to these ICs by using as much of the existing know-how and synergies to other programmes as possible. For example, with strong links between IC#1 and the Strategic Energy Technology Plan Implementation plan and the joint programming platform ERA-Net Smart Energy Systems lead by BMVIT. In IC#1, Austria would implement an integrated approach embracing the whole energy system, sector coupling, system flexibility and storage – as already showcased in the new flagship region Green Energy Lab. In IC#7 Austria would like to introduce not only concepts and technologies for heating and cooling of highly efficient buildings, but also smart city topics. Synergies on international level will be given with the Joint Programming Initiative Urban Europe, also led by Austria. Furthermore, co-operations with the IEA TCPs allow for concrete projects and joint workshops. Linked to IC#1 and IC#7 is also the new flagship region New Energy for Industry (NEFI) focused on the implementation of renewable energy in energy intensive and producing industry. For IC#8 several innovative approaches are planned like the hydrogen flagship region WIVA Power & Gas. Austria will also finalise a Roadmap on Battery and Storage Systems which will contribute to all three ICs. As a next step an action plan will be formulated to prepare for the next MI Ministerial in Vancouver. The MI Austria initiative will be coordinated by an Austrian MI Office, based at the Austrian Institute of Technology (AIT). For more information please contact Bernhard Gahleitner.